The June/July school holiday is a reality now and numerous underprivileged children dread this 3-week long holiday, as they don’t have any food to eat and would prefer to go to school as they get a meal daily whilst at school. The UROC (Uzwelo Rural Orphan Care) has already commenced with their annual Feeding Scheme Programme and is feeding 1 500 underprivileged children from rural villages in the Iswepe area. 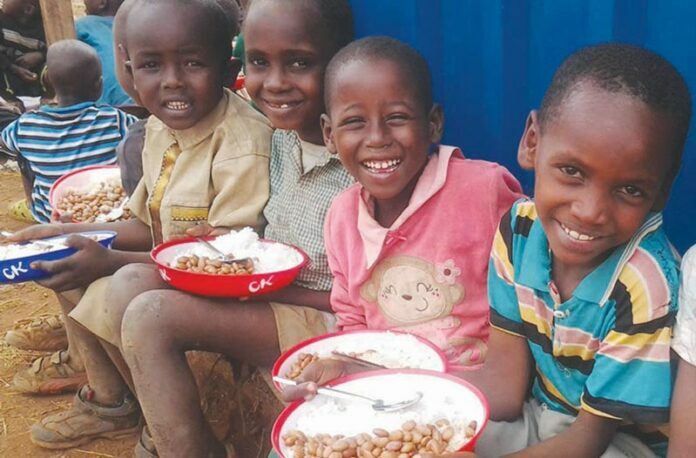 This initiative is aimed at providing these children with at least one cooked meal per day. These children often don’t have any food and by providing them with a daily meal, their development and health will not deteriorate. The UROC Feeding Scheme however is in urgent need of the community’s assistance in the form of food donations. Maize meal, samp, tin food or canned fish, cooking oil, fresh vegetables, such as potatoes, carrots or cabbage and sugar beans would be welcomed. Donations towards the UROC Feeding Scheme can be dropped off at Uzwelo Child and Youth Care Centre or at Kebar Restaurant, at Wellspring Ministries. You can also contact Sam Yiollaris on 017 826 1204 and they will collect your donation from you as well. Cotlands/Mondi Toy Library up and running!